Fallout 76 is a multiplayer survival game released by Bethesda Game Studios. You can play the game solo or team up with three other friends in order to stay alive and take down powerful enemies you might encounter along the way. Gamers around the world are already spending countless hours exploring the vast universe of Fallout 76 on their Windows PCs. Sometimes you may also want to enjoy Fallout 76 gameplay on your mobile device. Luckily, there are workable methods allowing you to play Fallout 76 on Android from the comfort of your couch. Read on and check them out. 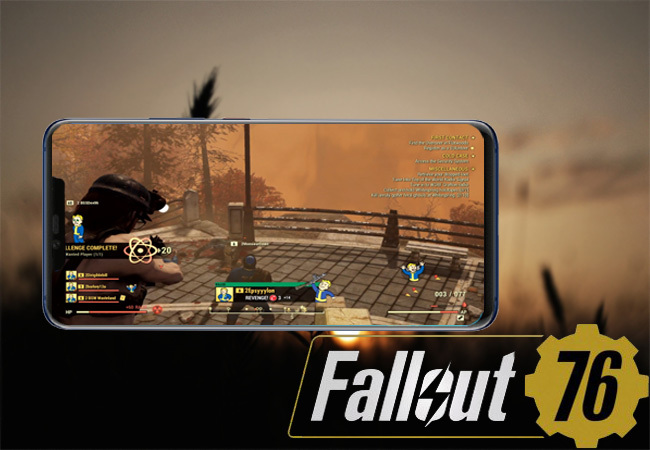 One of the best ways to play Fallout 76 on your phone is through ApowerMirror. This is a popular screen mirroring app that lets you play PC games on Android and vice versa. Aside from its mirroring capability, it can also record your phone screen activities and take screenshots of your mobile device. Moreover, it also gives you access to its annotation feature that enables you to add lines and shapes while recording your gameplay. To learn how to play Fallout 76 on Android, read on and follow the step-by-step procedure below. 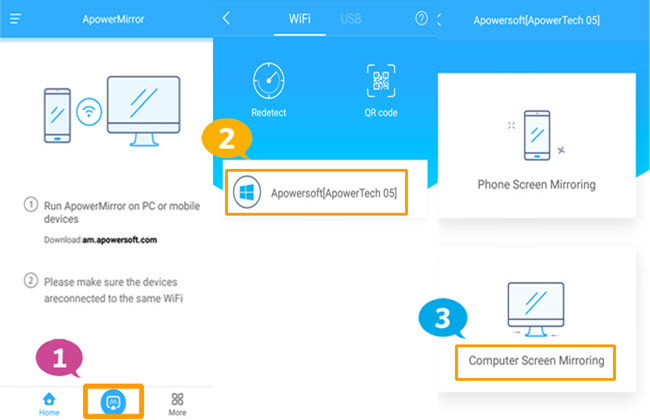 First, download and install ApowerMirror on your computer and smartphone. Launch the app on both your PC and Android device. Make sure to connect the two devices to the same WiFi network. Tap the blue “M” button on your mobile device and wait for the tool to detect your computer, choose the name of your PC from the detected devices, and then tap the “Computer Screen Mirroring” button. By then, you will be able to reflect your PC screen to your Android device. 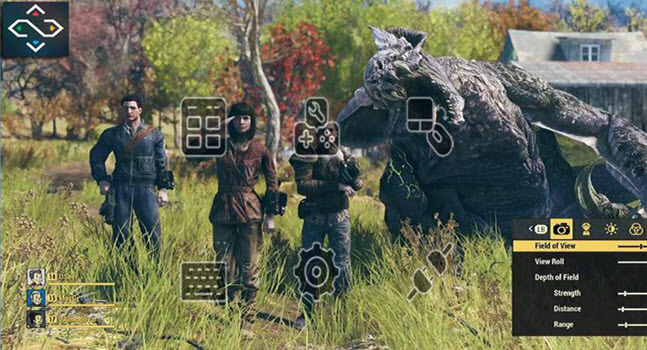 Now, you can launch Fallout 76 on your PC and start playing the game on your Android device. Another useful tool for playing Fallout 76 on Android device is Remotr. This is a software made for the purpose of playing video games installed on your PC with your Android or iPhone as a controller. Remotr has multiple controller options to choose from, consisting of touch, mouse emulator, Bluetooth control, and more. It is equipped with touchscreen button presets so you can play a game instantly. Also, you can use this app with or without a gamepad controller. To play Fallout 76 on mobile phone, here’s a simple guide you can follow. 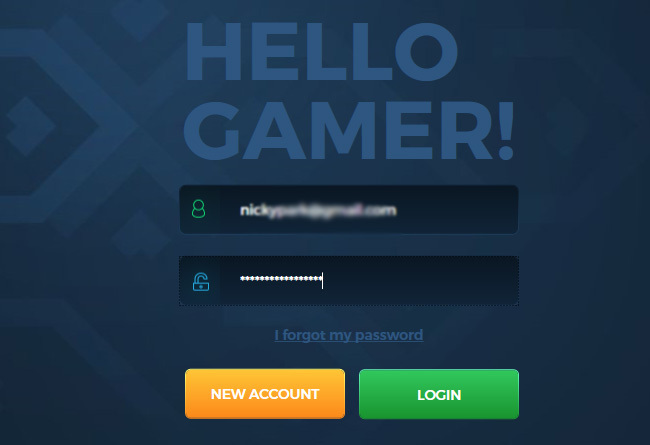 Download the desktop version of the app Remotr then create your account. You also need to download the Android version on your mobile phone. Now, take your Android phone and sign in using the account you created. Your PC will be detected by the phone automatically. Tap the name of your PC and switch to “Apps” tab by swiping on the screen to left. Next, tap on “Desktop” option to display your PC screen to your mobile phone. Once done, you can start playing Fallout 76 on your phone. 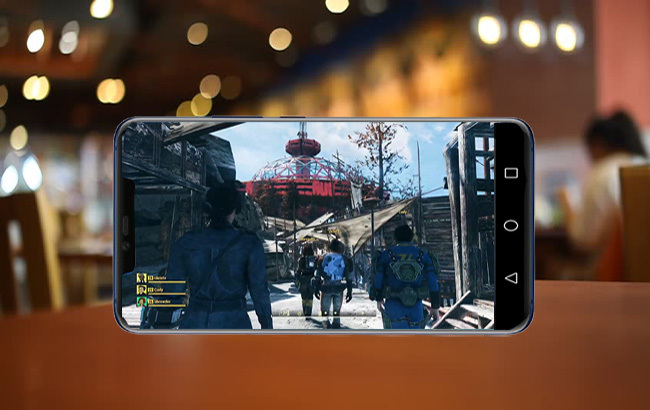 You might also consider using Kainy to remotely play Fallout 76 on Android phone. The interface of this program isn’t impressive and you need to be patient while messing around to get used to it. But it does work for streaming PC games onto a mobile phone. It has about 100 preset templates for controls and interfaces, and you can still change or personalize mapping of the controller settings to suit your preferences. At the same time, you may choose to hide and unhide mapping for your convenience. Now, let’s learn how to enjoy Fallout 76 gameplay on your mobile phone using Kainy. 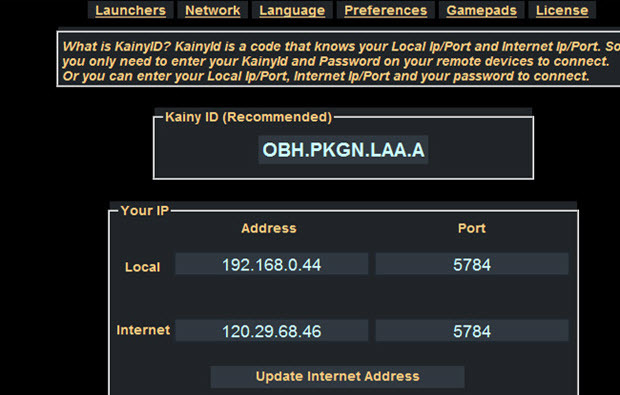 Install Kainy on your PC and smartphone. Run its desktop app and click on “Settings” at the top of the interface. Afterwards, click the “Network” option. Keep that page open and do not switch to any other app. Next, launch the Kainy app on your Android phone. Select a slot on the mobile app and enter the input codes shown on the Windows screen. Choose the slot where you have input the codes and tap on “Connect”. After the successful connection, you can now enjoy playing games on your Android. Fallout 76 is a hugely popular game on PC, and unfortunately, there is not a version for mobile devices, so you cannot download Fallout 76 on Android to enjoy the gameplay on your mobile device directly. However, Android devices, in particular, offer a superb range of options and capabilities, and there are in fact ways for you to play Fallout 76 on your phone or tablet. All the programs above will allow you to continue exploring the wasteland through screen-mirroring functions. However, if you want added features and benefits that will give you a more powerful program that does more than simply screen mirroring, ApowerMirror makes a great choice.